30 AV. MARCEAU IS THE MOST PHOTOGRAPHED FAÇADE IN THE AREA. 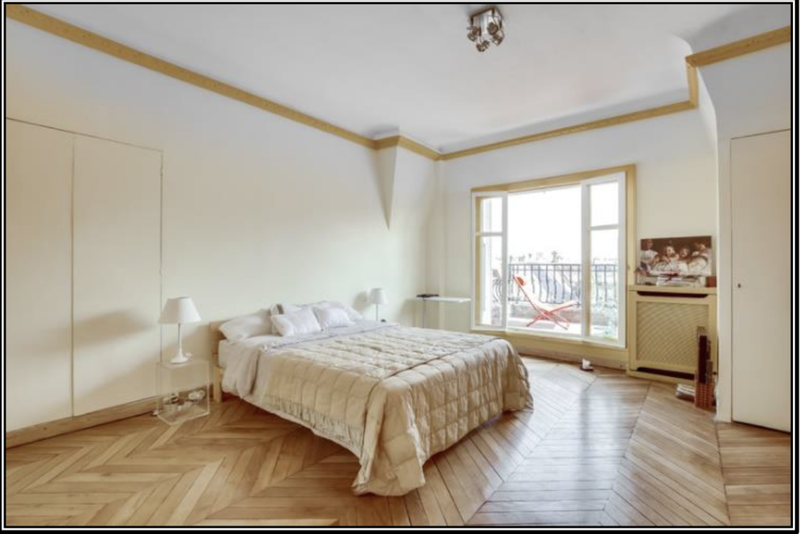 Prestige apartment on 30 AVENUE MARCEAU, in the most luxurious district of Paris, the Golden Triangle (between Champs Elysees, Montaigne and Marceau). The apartment is only minutes away from the most prestigious hotels, boutiques and restaurants in town. The world’s top haute couture designers, from Chanel to Dior to Yves Saint Laurent showcase their talent in the Golden Triangle. The Champs-Elysées, Avenue Marceau and Avenue Montaigne form the triangle’s perimeter. 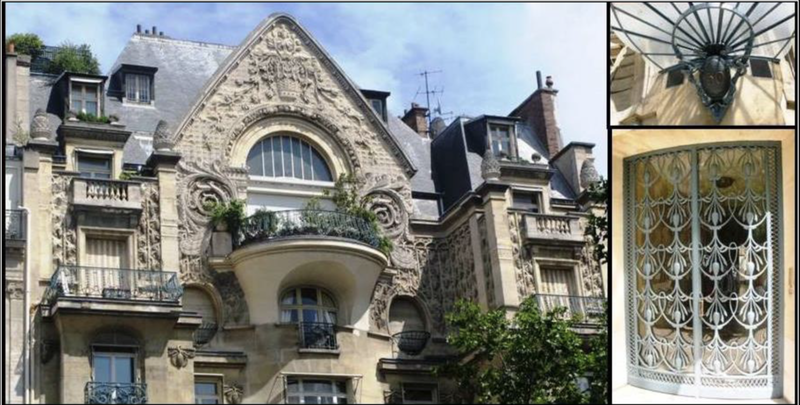 The building on 30 AVENUE MARCEAU is a landmark on its own, built in 1913-1914 by André Granet - son-in-law of Gustave Eiffel -. It consists of a recessed central body flanked by two wings. The stone facade is particularly interesting for its decoration. The top of the wings and the curve covering the central body are covered with branches and pinecones in relief, two peacocks confining the arched window, under the curve. These decorative motifs treated on an unusual scale, as well as the ironwork and the imposing bas-relief of the pediment make it one of the last manifestations of Art Nouveau. When it was built, the building was endowed with the latest technical improvements such as hot water, elevator, service lifts. The detail of craftmanship and quality of materials used make this building unique. 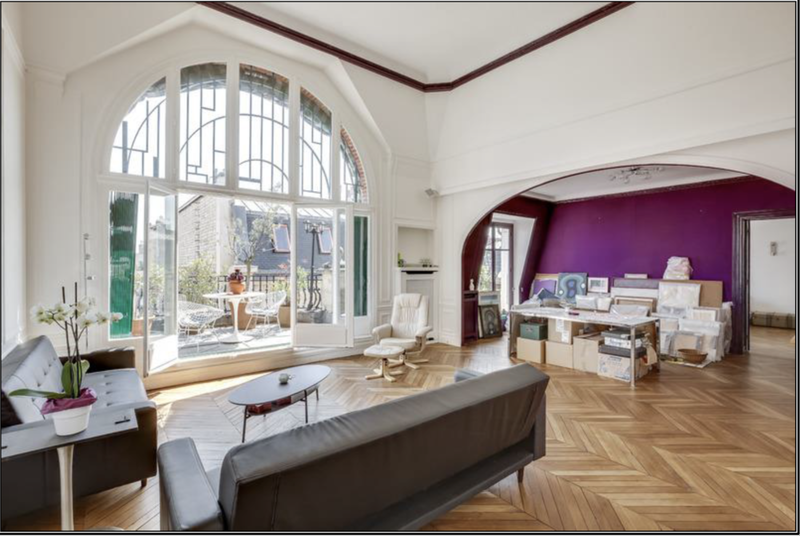 • open air terraces: 25 m. / 270 sq.ft., with stunning unobstructed views over the American Cathedral monument on Avenue George V and the skyline of the 8th districts.